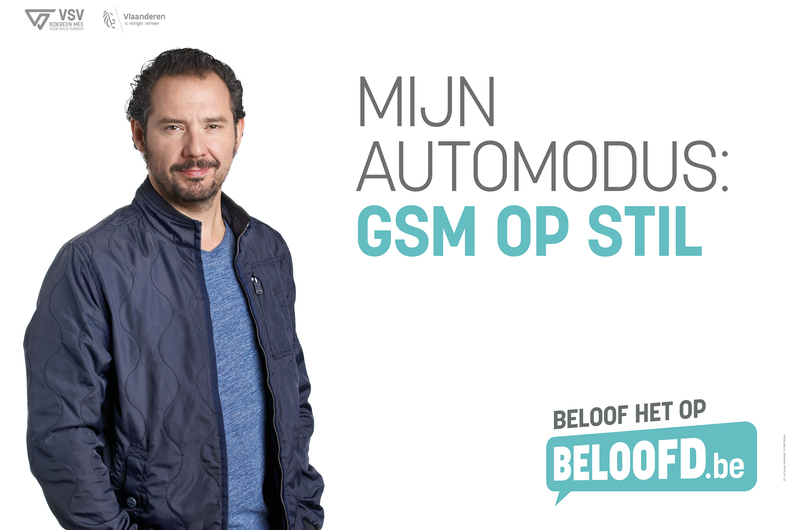 More than 8 out of 10 Flemish car drivers are worried about their own mobile phone use while driving. Meanwhile, 1 out of 3 people already experienced that his or her telephone use led to dangerous situations on the road. 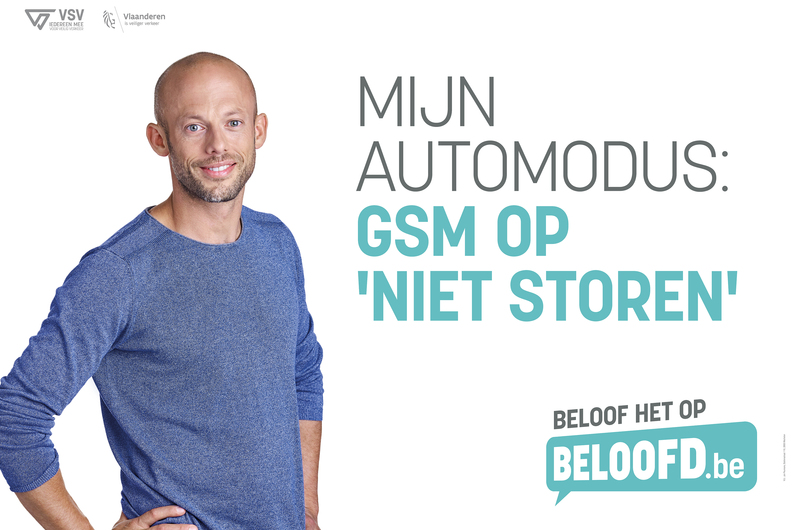 That’s why Bonka Circus and VSV launched another ‘Beloofd!’-project in which we helped people avoid being distracted by their phone, and reconsider their way of using their mobile phone while driving. For this campaign we worked with 4 ambassadors who each from their own background tell how they themselves go into ‘Automodus’. The main media of the campaign were billboards next to the highways and main roads, as well as radio. The campaign was also supported by social media.